The Society of Collision Repair Specialists on Wednesday announced that New Carlisle, Ind.-based AMP Custom Paint and Collision took home the trade group’s annual SEMA raffle prize this year. 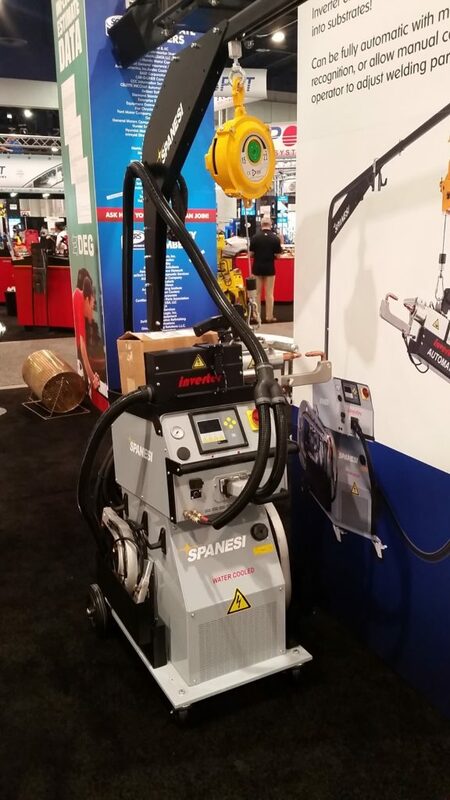 AMP Custom owner Adam Podell’s wife, Stephanie, was picked randomly to win the more than $28,000 Spanesi 14500A inverter spot welder given away by Spanesi and SCRS. Stephanie Podell and other hopefuls entering the free drawing had to visit the SCRS booth at SEMA, collect a “report card” mapping out companies that sponsored the Repairer Driven Education series and get a stamp from each one. SCRS in October recognized Repairer Driven Education sponsors Alliance of Automotive Service Providers, AkzoNobel, Axalta, BASF, CCC, Celette, Enterprise, General Motors, LKQ, Honda, PBES, PPG, Pro Spot, Reliable Automotive Equipment, SEMA, Sherwin-Williams, Spanesi and Toyota. AMP Custom didn’t just visit the SCRS booth at SEMA. 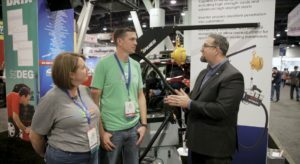 It also joined SCRS as a general member after encouragement from longtime John Mosley, owner of Clinton Body Shop and a member of the Mississippi Collision Repair Association, according to Adam Podell. Other information about SCRS: 1-877-841-0660, info@scrs.com or www.scrs.com.